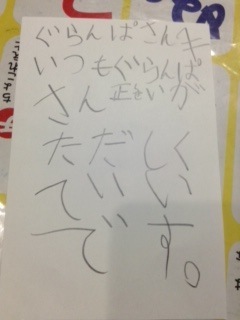 I played guitar in the morning like always and ate breakfast. Kate was up before me already. I was super surprised and got up fast. I asked Kate why she woke up so fast. She said "Mom was downstairs, so I woke up." I thought she woke up to clean. 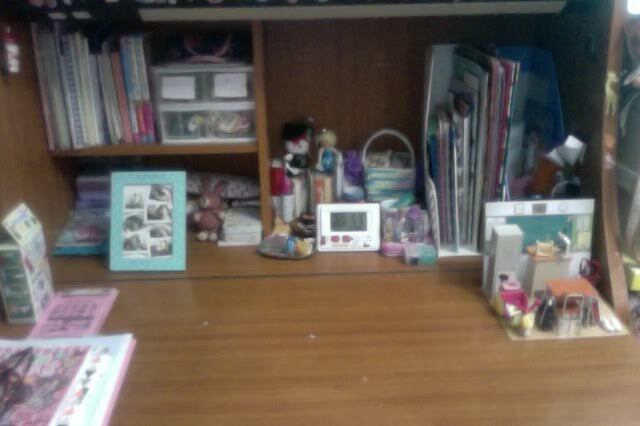 We cleaned up Xmas stuff and I cleaned my desk. But Kate cleaned the Xmas stuff with mom. 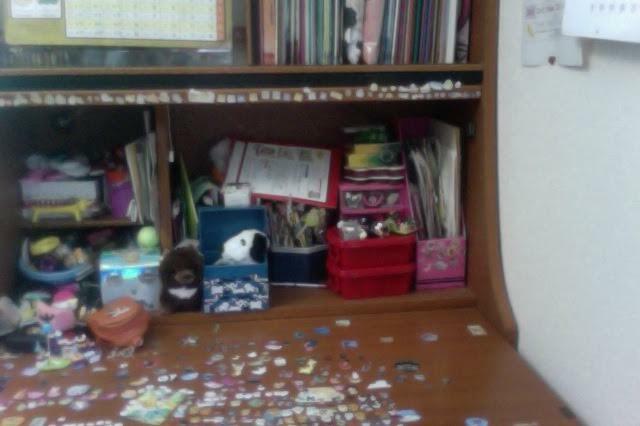 So her desk is still a little messy. 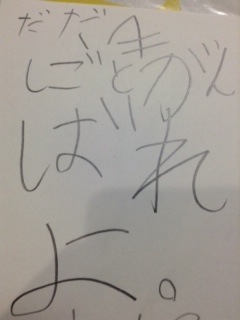 kate sensei seems busy, so she has no words yet today. After everything I hope to write again! 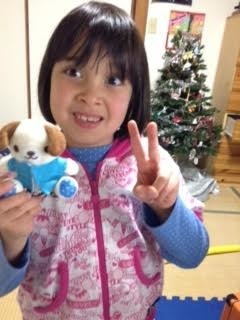 ファンの人が、、、❗Fan came to our house! 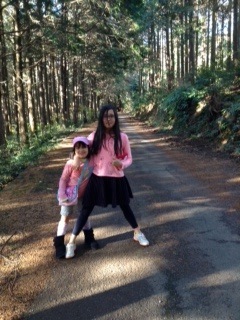 It’s winter vacation and Kate and I were hanging out. Then mom asked us to come downstairs. So, we did and there was a guy. He came to stop by to see us! It was one of our fans. We were so surprised that someone would actually visit. He even gave us some stuff. SO nice. Thanks so much!! Here is a word from Kate Sensei. I think Kate is pretty funny. Thanks so much for all your support!! “Do your best Audrey. I love you♡." “I love love love love love love love love love love you." “You always have a great posture. Good job." Hello! Kate Sensei seems to have caught a cold. I hope she is okay but it is a little more quiet than usual which is nice. I am joking. It is almost the end of 2015 and the new year will come. Yesterday was Xmas and it was super fun. I wish everyday was Xmas. It’s about Kate Sensei. We were playing and recording guitar and she started dancing all strange. Here’s today’s Kate Sensei’s word. “Huh, that’s not possible. Well, try your best. Do your best! Cough cough"
She has cold so, it is with coughts. 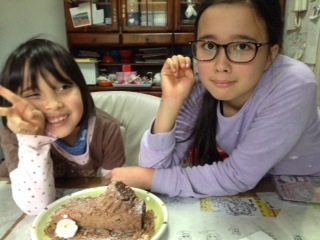 Today, I made a log cake with mom. I am 100% happy with it. 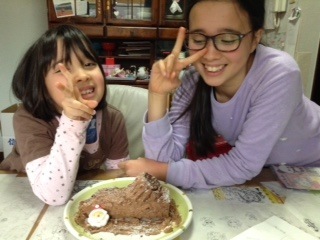 While we made the cake Kate Sensei studied with dad. After that, we made a Xmas cookie too. 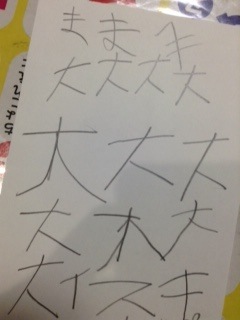 Here is Kate Sensei’s word for today. She seems a little angry today. Well, I will end here before Sensei gets angry. 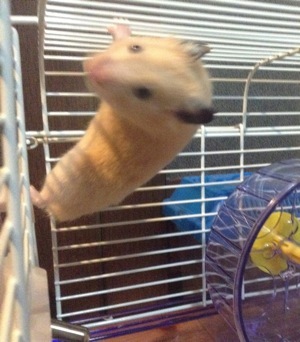 He craws up the cage and hangs on the roof of the cage like spiderman. 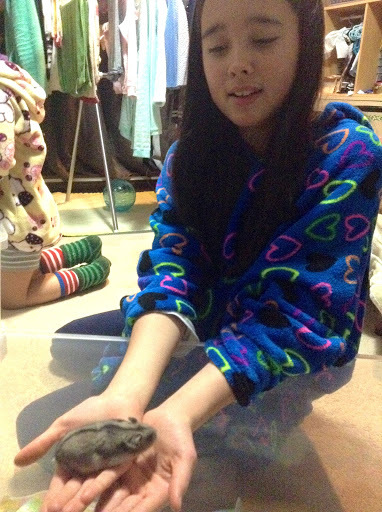 My hamster, Ichigo chan on the other hand is kind of chubby and cute. 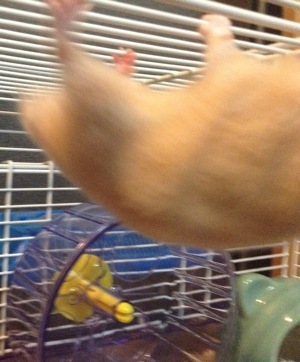 Unlike Hamu-chan, she doesn’t try to escape. “oh, after drinking it’s bathroom time." Here is her word/sentence of the day. I am not sure what it means but that’s all. 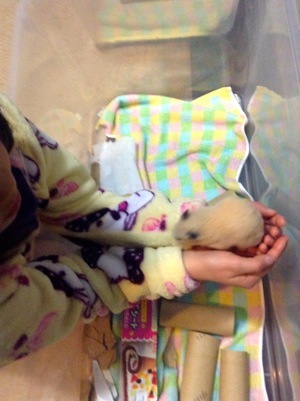 Here are some photos of our hamsters. Last night, Kate said something funny, so I am wiritng about it. We were talking about which year we were born. I am a sheep by Chinese zodiac and Kate is a bull. I explained where milk is not pee. It was pretty funny. Kate is taking a shower, so I can’t ask her for the sentence of the day. 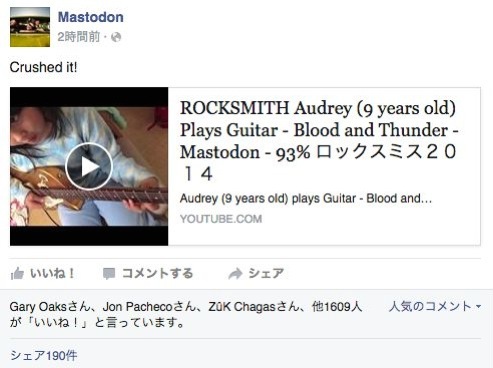 Mastodon posted my Rocksmith video from a while back! SOooooo happy!! ケイト先生の音読📖 Hearing Kate read aloud. Hello, I am having Kate read a book aloud. Because it is kind of short, I asked her to read it twice. She answered… Huh? O, Okay. Here is Kate’s words for the day. 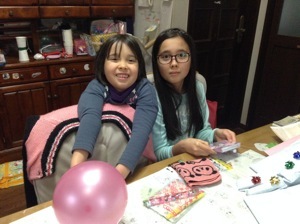 "Xmas is fun. Try your best, my fans!" Sensei lost her patience and told me. "No idea. Non of my business." She is reading aloud now and she is angry now because it is a bit difficult. Today’s Xmas present for Kate was Syvanian family’s dentist set. 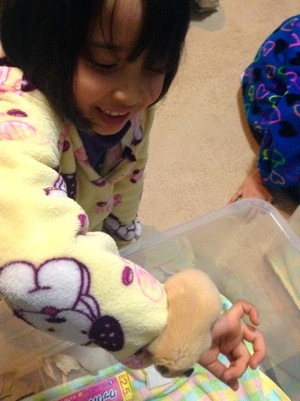 She thought it was Legos but she weas still super happy. I got a miniature toy. From last night, we started opening Xmas presents. 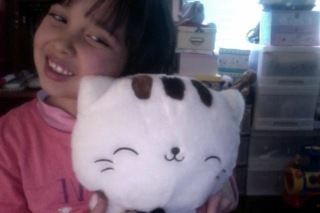 Kate is brushing the plush she got. Here is Kate’s comment for the day. Asked what A-bition means and she said it means LOVE. She is, as always, pretty unique and entertaining! Hello! It’s almost 8pm here. Time goes fast! I have a funny (?) news! We have a marathon day at our school every year. This year, it is in January. Not only that, it is on Kate’s birthday. 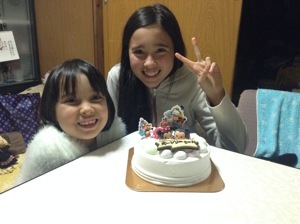 Oh, no… Last year, it was on my birthday and this year is Kate’s. It is her first time too. It’s time for Kate’s word for the day. Today was Sunday and there was no school. It was a bit cold, so we had a heater on all day. Lately, Kate has been really into making her toy wear clothes, kind of like Cosplay. She keeps saying stuff like “That’s not good because it is a skirt.” etc. I don’t understand it. Kate will be 7 on Jan 14th. Though it’s a bit too early, she warns me that if I give her pencils, she will punch me. 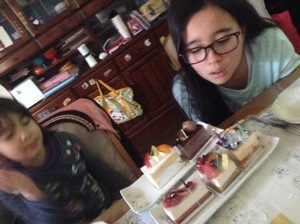 I had yummy cake and opened lots of presents! At school, some of my friends gave me stuff and they sang happy birthday too. Also, I received lots of comments from the FANS. Thank you so much!!!!! 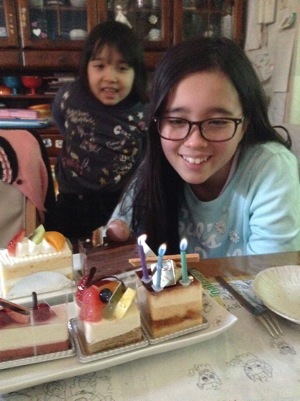 I can’t believe I am 12 now. I think I am still in 3rd grade. 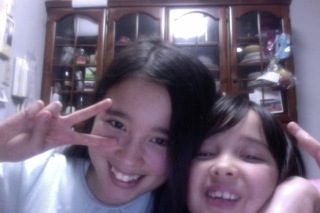 I want to keep playing many many songs with Kate. 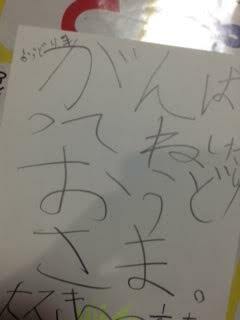 A word from Kate Sensei “I love the fans! Lovely."